Internationally, the Viessmann Group is one of the leading manufacturers of heating, industrial and cooling systems. At the Swissbau in Basel, Viessmann Schweiz AG presented itself on a 580 m² (2014) stand to a professional audience on the topic heating systems using oil, gas, solar energy, wood and natural heat. Thus, Viessmann was able to inspire partners and customers at Europe’s biggest building and real estate trade fair in an informative and structured way within the product and service areas. For many years as a reliable partner, mp has realised the international presentations of the company. With agencies, such as Atelier Markgraph, we face new challenges of concepts, size and locations with full dedication and planning foresight. Viessmann was founded in 1917 as a family business in Allendorf. On the 26th of August 2017 it celebrated its 100th year of business, by organising an event of superlatives, which took place in Berlin, Hof and at its original headquarter in Allendorf at the same time. 15.000 employees and their families experienced an unforgettable day at those three locations with many highlights. The agency Fischer Appelt was responsible for the concept and realisation. 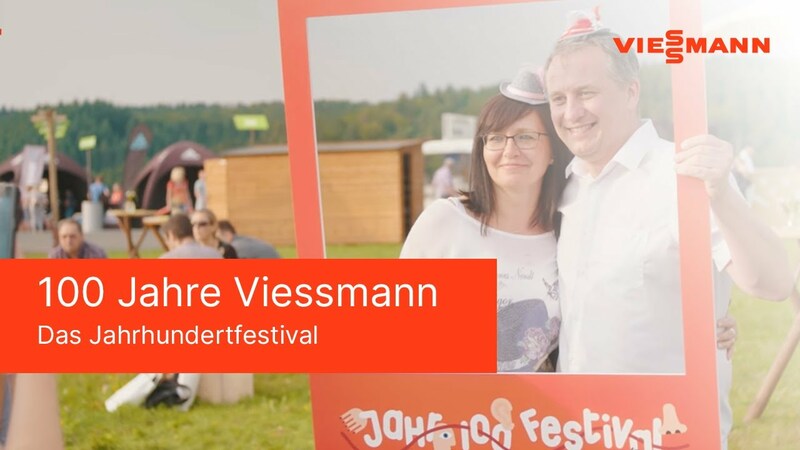 mp supported the Viessmann-Jahrhundertsfestivals with stages, furniture, equipment, guidance systems as well as an extensive open space design.